The Somatic Marker Hypothesis (SMH), proposed by Antonio Damasio suggests that the ventromedial prefrontal cortex (VMPFC) sends somatic markers, simulated body signals, which “bias the thoughts and decisions of individuals.” Damage to the VMPFC is known to cause an inability to learn from socially relevant emotional experiences. He suggests that somatic markers are "secondary inducers," which "influence decisions." SMH suggests that somatic markers "influence" other regions of the brain to make decisions. 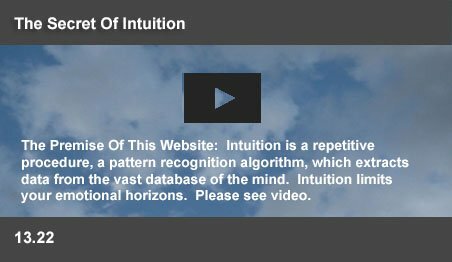 This website follows the view that the mind makes decisions in milliseconds through pattern recognition of combinatorial codes (PRCC). From this view, somatic markers add a sophisticated range of feelings, which add a wide range of new PRCC “commands” to an emotions channel, which extend the range and power of the nervous system. Intuition focuses the mind on a single emotional objective out of trillions of options. Emotions are not visceral responses. Emotional behavior persists even when the viscera is isolated. Nerve impulses do trigger emotions. Emotions trigger neurochemical events and physiological responses, which modify behaviors. Damage to the VMPFC causes patients to make faulty judgments. Damage to the VMPFC causes a reduction in skin conductance responses. SMH suggests primary and secondary "inducers." The secondary inducers modify more complex behaviors. PRCC outputs trigger emotion induced attitudes, which trigger motor drives. Emotional control systems evolved over millions of years. VMPFC records and evaluates somatic markers. Combinatorial coding permits astronomically large memories. Only PRCC can explain the brilliance of the human mind. The human brain evolved as a survival mechanism, which was assembled by the evolutionary process as a hierarchy of pattern recognition nuclei - where reptilian, mammalian and rational human level systems switch controls between each other in milliseconds. The primary inducers referred to by Damasio are the controls from the amygdala, a part of the earliest brain. People with damage to the amygdala lack even an emotional response to a snake. The secondary inducers are triggered from the higher levels. Emotions are drives in an emotions channel, which decide activities as well as attitudes for the whole nervous system. These drives are combinatorial patterns of nerve impulses, where PRCC triggers motor drives and focuses the data available to conscious awareness. As a PRCC message, an emotional signal has the capacity to convey trillions of variations. Intuition is the process, which instantly and globally focuses the mind on a single emotional objective out of a trillion options in response to an emotional drive. Historically, scientists had discarded emotions as being irrelevant to the rational modern mind, a throwback from primitive times. It was Charles Darwin, who first suggested that emotions have a real world existence, visibly expressed in the behavior of humans and lower animals. He suggested that the existence of an emotion could be derived from an angry face, or even a bad feeling in the stomach. Early science (as well as SMH) viewed emotions as essentially bodily and visceral responses. But, W.B. Canon disproved the idea that emotions were visceral responses. He showed that emotions did not follow artificial stimulation of visceral responses. Emotional behavior was still present when the viscera was surgically or accidentally isolated from the central nervous system. So, emotions existed, but they were not the churning in your gut, or the knot in your stomach. There is experimental evidence that nerve impulses can trigger emotional experiences. Excitation of certain parts of the temporal lobe produce intense fear in patients. When other neurons are stimulated, they feel dread. Excitation of other nuclei cause feelings of isolation, loneliness or sometimes of disgust. Electrical stimulation of the septal areas produced a feeling of pleasure for rats. The animals would self stimulate those regions, till they were exhausted, preferring the effect of stimulation to normally pleasurable activities such as consuming food. This website suggests that various organs linked to the limbic system recognize the patterns of objects and events in the environment to trigger patterns of impulses. These patterns of impulses are emotions, which trigger neurochemical events and physiological responses, which instantly modify behavior patterns, and attitudes. SMH suggests the existence of more sophisticated controls. This view is supported by results from the Iowa Gambling Task experiments. The experiments compared the performance of healthy people with that of patients with damage to the VMPFC. These tests evaluated the ability of people to judge prospective rewards and punishments, while choosing cards from four prearranged decks. But, participants with lesions in VMPFC, continue to choose from the high reward/penalty deck, even though they face steady losses. At the same time, the comprehension of language, attention, and working memory of such patients were generally intact and they could readily solve logical problems. SMH suggests that this region is pivotal to emotional learning - in integrating the emotional memory of individual gains and losses over time into a rational behavior strategy. Similar results have been achieved with skin conductance responses also. After healthy patients receive a reward or punishment in the Iowa Gambling Task, skin conductance responses are evoked, indicating physiological arousal. With experience with this task, these responses are evoked before participants select a card, especially from the risky, disadvantageous packs. These participants, therefore, seem to experience an aversive somatic state as they contemplate these disadvantageous packs. For those participants with damage to VMPFC, the skin conductance responses are evoked, but to a lesser extent, after they receive a reward or punishment. But, after experience with the task, they do not exhibit these responses before they choose a pack. Hence, these individuals do not experience a somatic state that could deter unsuitable choices. SMH suggests that pleasant feelings make individuals approach and unpleasant ones cause them to flee or avoid the event or object. SMH divides the triggers to modify behavior to “primary inducers' (the body loop) and “secondary inducers,” (the as if body loop). Primary inducers are triggered by the amygdala, which remembers associations between emotional objects or events and triggers visceral responses. Participants with damage to the amygdala lack the primary inducers, failing to exhibit the skin conductance responses after receiving a reward or punishment in the Iowa Gambling Task. They also have is no emotional response to a snake. These visceral responses are somatic states, a specific cluster of changes in the body and brain, including variations in facial expression, posture, hormones, heart rate, and muscle contractions. Reports of such feelings are received by the insular cortex, linked to VMPFC. SMH suggests that the VMPFC evaluates past emotional experiences to trigger secondary inducers, (the as if body loop), which modify more complex behavior. SMH suggests that secondary inducers, produced by the VMPFC and the insular cortex and sent directly to the brain stem, are unconscious representations of somatic patterns. SMH suggests that mental representations of the bodily changes are “underpinned” by the insular cortex. These somatic states are, in essence, simulated rather than actually enacted in the body. These are sensations and feelings, which accompanied past significant events. SMH suggests that they “bias the thoughts and decisions of individuals.” When VMPFC is damaged, the contemplation of an object or event will not evoke the corresponding bodily responses and feelings. Such patients do not perform effectively if the problems entailed risk and uncertainty. SMH suggests that, when uncertainty or ambiguity are pronounced, the “as if loop” is more influential than is the “body loop.” If individuals have not been exposed to an event before, or cannot predict which event is likely to unfold, the “as if loop” is more likely to guide decisions. SMH suggests that both loops “bias” decisions. This website suggests that neural organs communicate with each other in PRCC. Stored combinatorial codes were first discovered (Nobel Prize 2004) by researchers to assist the olfactory system to recognize the smell of an orange. These form massive inherited, or acquired codes, which carry the declarative, implicit and procedural memories of the brain. 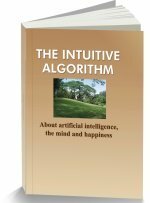 Intuition enables the nervous system, including the motor system, to choose a single option from memory as its current real time activity. The intuitive decision making process follows a clear routine. Typically, to avoid motor conflict, when a motor neuron fires to contract a muscle, motor impulses to all opposing muscles must be inhibited. Each one of the 60,000 motor neurons in the spinal cord has up to 20,000 feedback/feed forward links to other motor neurons. This website suggests that, up to 10,000 times a second, the PRCC memory of each motor neuron decides the right combination (of its 20,000 inputs) to fire or to be inhibited. Intuitive pattern recognition using PRCC memories enable a finite group of muscles in the spinal cord to contract (even as the remainder relaxes) to deliver a smooth motor channel output. This website suggests that the limbic system has a similar emotions channel, a bundle of neurons, which delivers a PRCC output. The organs in the limbic system include the amygdala, the insular cortex and the olfactory system. They are linked by a ring of interconnected neurons with feedback/feed forward links. Intuitive PRCC enables an integrated delivery of either pleasant (positive) or unpleasant (negative) emotions. Emotional drives are combinatorial patterns of nerve impulses, which trigger motor drives and focus the data available to conscious awareness. Fear, guilt, or disgust becomes the current output of the emotions channel, which triggers emotion focused behavioral and attitudinal changes, while storing and extracting emotion related PRCC memories. Originating as simple impulse patterns, which triggered coping behavior, the emotions channel has a long evolutionary history. These patterns help organisms reproduce, protect offspring, maintain cooperative alliances, and avoid physical dangers. The early impulses responded to touch stimuli to intelligently contract and expand the body and tentacles of the primitive hydra to move about and swallow or expel food particles. The channel added odor interpretations (the earliest nose brain) from the olfactory system, to improve animal responses to the coping objective. The amygdala widened the emotions channel by becoming sensitive to the potential for pain or conflict. The insular cortex added the mirror neuron ability to sense the emotions of others in the herd to add social emotions to the channel. So, the channel carries a complex range of emotional responses, originating from numerous organs of the limbic system, to cope with the environment. Within milliseconds, intuitive PRCC chooses a single emotion, a single combinatorial pattern, to focus behavior. The advance, withdraw, or consume actions created changes in the body, called somatic or body states, including variations in facial expression, posture, hormones, heart rate, and muscle contractions. These changes were reported back to VMPFC. Just as the amygdala recorded the context of pain or conflct incidents, VMPFC recorded the historic context of of these somatic markers. The recognition of emotional context enabled VMPFC to add a new set of emotional impulses to manage ambiguity and uncertainty to the emotions channel. From the vast range of emotions in the channel, Intuitive PRCC focuses on a single family of emotions. SMH suggests that “somatic markers” may provide “variable values” to measure the benefits of complex and uncertain choices. According to Comsides and Tooby, “Mechanisms involved in hierarchically ranking goals or calibrating other kinds of motivational and reward systems should be emotion-dependent.” But, signals of hierarchically increasing values can provide only a primitive basis for a choice by the system. On the other hand, “markers” coded in combinatorial patterns (PRCC) can enable an infinity of intelligent choices. On this basis, a neuron with just 100 dendrites can recognize 1, 000, 000, 000, 000, 000, 000, 000, 000, 000, 000, 000, 000, 000, 000, 000, 000, 000, 000, 000, 000, 000, 000, 000, 000, 000, 000, 000, 000, 000, 000, 000, 000, 000, 000, 000, 000, 000, 000, 000, 000, 000, 000, 000, 000, 000, 000, 000, 000, 000, 000, 000, 000 unique combinations! In recent neural imaging studies, activation of the insular cortex has been reported during the expression of social emotions, including “love and hate, gratitude and resentment, self-confidence and embarrassment, trust and distrust, empathy and contempt, approval and disdain, pride and humiliation, truthfulness and deception, atonement and guilt.” Such emotions have been expressed in the context of trillions of situations. Only PRCC, which encodes myriad somatic markers can explain this increasing spectrum of human emotions for the abstract and complex issues surrounding morals and social rules, or the brilliance of human poetry, music and literature. Last updated on 04 Sep 2016.